An HVAC unit ingrained with dirt and clogged with debris will have its shelf life shortened as a result of having to work much harder, which in turn results in higher energy bills for you. For this reason alone it makes sense to schedule regular HVAC unit cleaning appointments. 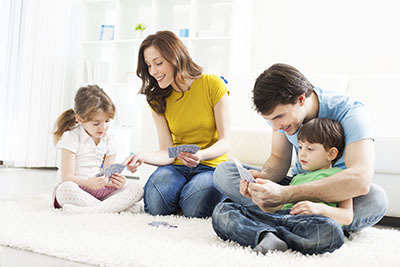 The bottom line is, regular cleaning and maintenance of your HVAC unit will improve your family’s overall health, it really is that simple. Poor air quality in your home due to a dirt-encrusted unit can result in even the healthiest members of your family suffering from fatigue, headaches and skin irritation. For any family members with allergies, their problems will be exasperated. The effects are worse still for asthma sufferers or those with respiratory problems. Can It Really Get That Dirty? The HVAC unit cools and heats the air for your home, keeping the temperature ambient all-year round. To do this, the unit which is located outside, works by drawing in air, which is then circulated throughout the ventilation system. Unfortunately, not only does it draw in air, but everything around it too. This can include dirt, dust, chemicals, insects, and even bacteria, which can form mold. Your system therefore, needs to be thoroughly cleaned inside and out at regular intervals by a trained professional. 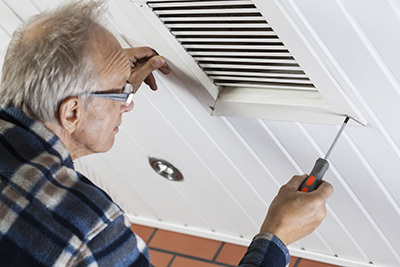 We are the recognized experts in our field and you can rely on us to take care of all your HVAC unit cleaning issues. 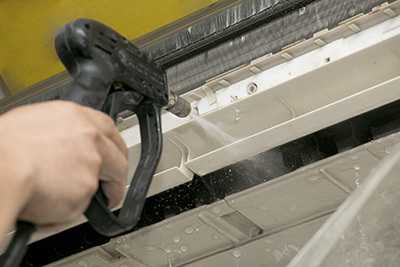 Our technicians use only the best equipment and we will rid your system of unwanted pollutants both inside and out. In no time at all you’ll be breathing easily. The Air Duct Cleaning Duarte team is waiting for your call, so schedule an appointment today, and give your family the air quality you know they deserve.